In a volatile market, Coca-Cola (NYSE:KO) stock has remained a bedrock of stability. For the year so far, the shares have gained about 11%, and this mostly is in line with its long-term track record. Note that during the past ten years KO stock has posted an average annual return of 10.54%. In light of this, is it any wonder that the company is a top holding of Berkshire Hathaway’s (NYSE:BRK.A, NYSE:BRK.B) Warren Buffett? Of course not. Consider that he owns a whopping 400 million shares. Of course, past performance is no guarantee of future performance, but in the case of Coke it does look like there will continue to be steady growth. One key is that the company has been innovating its product line. Hey, just look at Coca-Cola Zero. Part of the success has been the use of sweetners like aspartame and acesulfame K, making the drink more like a traditional coke. Coca-Cola Zero also has much more engaging packaging. As a result, the drink has been posting strong growth (up double digits during the latest quarter). smartwater: This has been a big winner. So yes, Coke is in the process of scaling this out. By the end of this year, smartwater will be available in 32 countries. There has also been some innovations like smartwater antioxidant and smartwater alkaline. Sprite and Fanta: These may be old brands but they have been reinvigorated. Consider that Coca-Cola has focused on no-or-low calorie recipes. 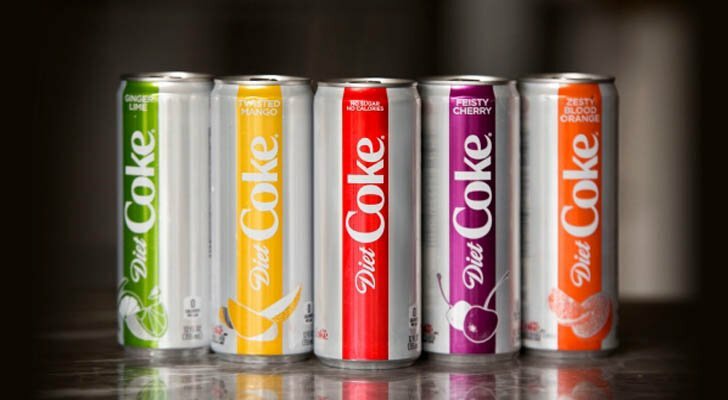 Diet Coke: Coca-Cola has seen growth with this brand as the company has added new flavors, such as ginger lime, feisty cherry and zesty blood orange. Energy Drinks: This market continues to be robust. So Coca-Cola has been getting more aggressive, as the company has created Coca-Cola Energy. Although, partner Monster Beverage (NASDAQ:MNST) is not happy about this and has instituted an arbitration proceeding. In the meantime, Coca-Cola has been aggressive with M&A and strategic investments, which has led to an expansion of the brand portfolio. The company has purchased Organic & Raw Trading (the developer of the MOJO kombucha brand) and Tropico (the creator of various fruit-flavored beverages). Then there were investments in Bodyarmor, which has premium sports performance brands, and Made Group, a maker of juice and protein smoothies. But of course, the transformative deal was the $5.1 billion acquisition of Costa, which is a UK-based retail coffee chain. Granted, it’s a risky deal. Let’s face it, this means KO will take on the mighty Starbucks (NASDAQ:SBUX). But the deal should help diversify KO’s product line and also provide a strong platform to gain a footprint in emerging markets, especially China. All in all, the strategy for KO is coming together nicely. It also helps that the company still has strong pricing power. This is definitely critical as the costs of ingredients and materials continue to rise. KO stock also has a decent dividend yield, which is at 3.14%. And more importantly, the company has a long history of increases. So again, when it comes to KO stock, don’t expect too much excitement. The company is likely to be more of a model of stability. Although, with the volatility in the markets, this may be a big attraction for many investors. Article printed from InvestorPlace Media, https://investorplace.com/2018/11/coca-cola-ko-stock-safe-haven/.